Who needs a big cup of coffee after school started this week? This girl! Classes may have gotten the best of me but I’m not backing down – especially with my new skincare routine that’s all about a clear mind and clear skin! I have to have confidence during my entire day – it’s just the nature of my job and a product of being a graduate student. Whether I’m presenting designs to a client or running to a demonstration for my marketing strategy class, I have to be confident. Confidence is what helps clients have faith in me and in my work. Confidence is what shows my professors that I deserve the grade. But, it’s not always easy to show up and tell self-doubt to beat it! Stay hydrated. A full glass of water is part of the beginning and the end of my day to keep my system healthy and my skin glowing. Get your skincare down. For me, it’s all about easily accessible products that clean, treat breakouts and moisturize with an uplifting blast of pink grapefruit from the #1 Dermatologist recommended Acne Brand – and that’s NEUTROGENA® products. There’s nothing worse to your confidence than having a presentation in front of a client and having a second presenter invited – yep, having a big ol’ breakout. Whether it’s in the middle of my forehead or on my cheek, my breakouts show up right where they’re noticeable! For me, moisturizing is key. Keeping pores from drying out is what keeps my breakouts at bay. 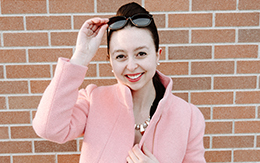 Right now, my go-to is the NEUTROGENA® Oil-Free Acne Moisturizer Pink Grapefruit. The dual-action formula combines oil-free hydration with powerful acne medicine. It helps treat and prevent breakouts and it moisturizes thirsty skin. As soon as I see a breakout form, I put extra moisturizer on it in the morning to keep the surrounding skin from drying out. Taking care of your skin doesn’t just happening in the morning. Just like being confident doesn’t just happen for a presentation. It happens all day long and is something I constantly practice. Setting myself up for success means taking care of my skin all day long. I’m confident before, during and after presentations. I have a smile on my face, my mantra in my head and clear skin to show. 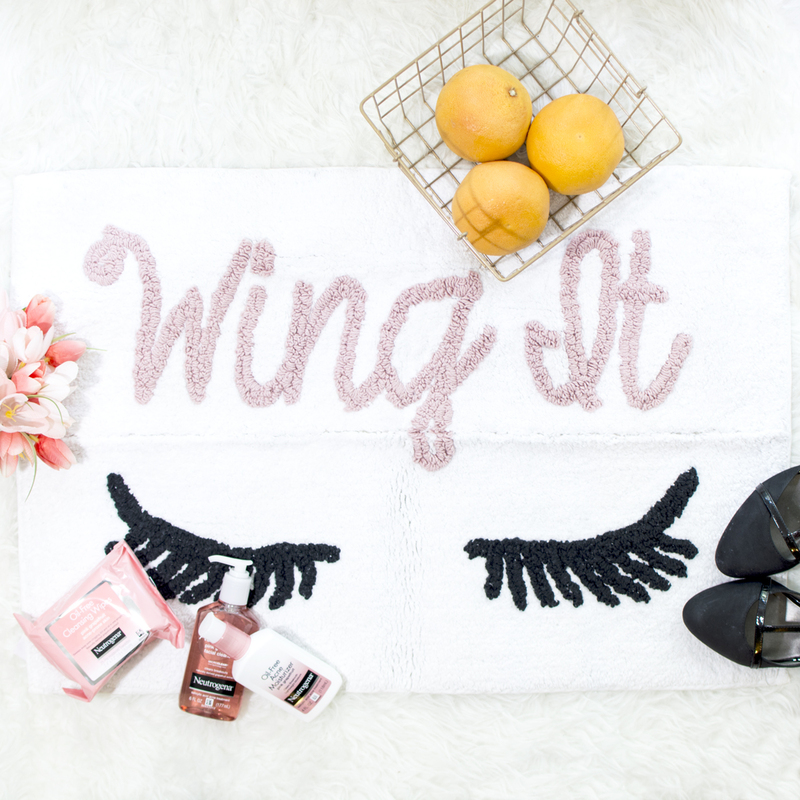 I keep a pack of NEUTROGENA® Cleansing Wipes, Pink Grapefruit in my bag just in case my confidence slips and I start to sweat my makeup off – so no one is the wiser! 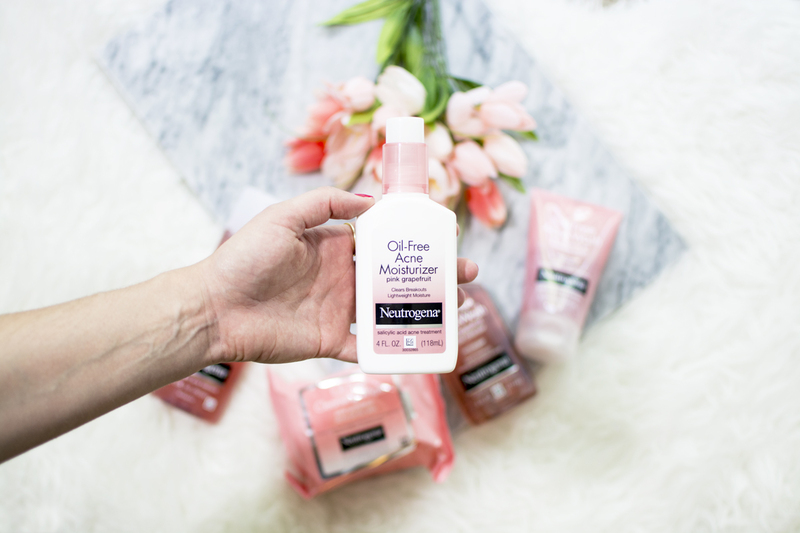 When the day is done, I wipe away my struggles, downfalls and negative thoughts with the NEUTROGENA® Oil-Free Acne Wash Pink Grapefruit Gel cleanser. Every day is a new day with the opportunity to be more confident! Do you know what makes me even more confident? Saving money: earn up to $2 cash back on NEUTROGENA® Acne products through Ibotta while supplies last. And, beginning on 9/9, you can buy 1 NEUTROGENA® Pink Grapefruit product at CVS and get 1 50% off, that week only! What’s your confidence success story? A presentation that you rocked? Breakouts you treated successfully? Let me know in the comments below and don’t forget to start your confidence story with NEUTROGENA®. I agree with you healthy skin is the beginning of success. You are definitely correct that one of the first steps in gaining self confidence is feeling confident about your skin, on your face as its the first thing people see when they meet you. Not that they will feel or judge you if your skin is having an issue, its all about your confidence and when your confident, the world seems a little easier, a little more friendly, tooo!